This page is for the ダンスダンスレボリューション フルフル♪パーティー song titled Brilliant 2U. For the original version of the song of the same title, please see BRILLIANT 2U. 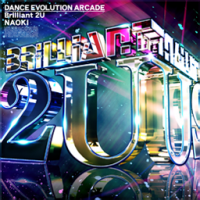 Brilliant 2U's DanceEvolution ARCADE jacket. 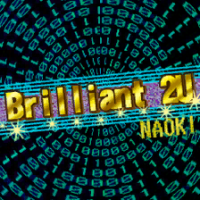 Brilliant 2U is a remake of BRILLIANT 2U, from DanceDanceRevolution 2ndMIX. A MIDI version of Brilliant 2U appears in DanceDanceRevolution (i-αppli). Brilliant 2U's DanceDanceRevolution S banner. None of Brilliant 2U's charts have Freeze Arrows. Brilliant 2U can be unlocked in DanceEvolution ARCADE on the Colorful jacket (カラフル・ジャケット) event, which started on May 24th, 2012. This is a new vocal version of the song. I did it at last. DanceDanceRevolution difficulty rated from 1 to 10 from DDRMAX2 to SuperNOVA2, and 1 to 20 from X onwards.